This student submission comes from my former student Heidee Nicoll. Her topic, from Geometry: finding the inverse, converse, and contrapositive. I would start this lesson with if-then statements that were not math related. I would use simple examples such as “If it is raining, then my mother will not let me play outside.” Students will be in groups, and will each group will have a set of cutouts, with each set containing two copies of the word “not”, a card with “if” and a card with “then,” and each “if” statement and each “then” statement on separate cards. They will also have a worksheet that gives them space to write the sentences that we come up with as a class. As the teacher, I will have a set of cutouts that will have either magnets or tape on the back that I will have on the board. I will show them an example, before having them work on their own. I will have the cards, for example “If” “It is raining” “then” “my mother will not let me play outside” on the board. Then I will put a “not” card in front of each statement and ask the students what this statement means. It will say “If” “not” “it is raining” “then” “not” “my mother will not let me play outside,” which translates to “If it is not raining, my mother will let me play outside.” The students will copy the grammatically correct statement onto their worksheet. I will ask them if it is a true statement. Then, I will put the statement back in its original form, and then will switch the “if” and “then” statements, which would result in “If” “my mother will not let me play outside” “then” “it is raining.” The students will copy down this sentence and will discuss whether or not it is true. Lastly, we will do the contrapositive of the statement, and switch the “if” and “then” statements and add the “not” cards. The students will then do several sentences on their own, moving around the cards to form the statements, copying the sentences onto their worksheets, and talking as a group about whether or not the statements are true. This will help the students see the concept behind these different statements before having to learn the names inverse, converse, and contrapositive, and without having to think about them in terms of geometry. This clip from some Star Trek episode shows an example of times in the English language when it might be hard to decode exactly what someone is saying because of the word “not” or the use of double negatives. I would show the students the clip and ask them what the man meant by “nobody helps nobody but himself” and if that was a true statement. If they decide that it is not true, then I would ask them what they would change about the sentence to make it true. Although this clip does not explicitly use the ideas of inverse, converse, or contrapositive, it shows the importance of being able to take a somewhat confusing or ambiguous statement and understand it logically. In order for students to understand inverse, converse, and contrapositive, they need to understand that the phrase “this is not an odd number” also means “this is an even number,” or that “this polygon does not have an uneven number of sides” means that “this polygon has an even number of sides.” I would show them examples such as these, and have the students share what they think the statements mean. We would have a class discussion about how language can be confusing at times, and how we need to be able to decode it. I would use Kahoot! to create an online quiz. I would have questions such as “which of these statements is logically true?” and “which of these statements is logically false?” Each answer choice would be a short statement, some math related, such as “if a number ends in 2 it is even” and some not related, such as “if the sun is out today, then it is warm outside.” I would also include statements that were the inverse, converse, or contrapositive, such as “if it is not warm outside, then the sun is not out today.” The students would have to read all the answer choices and pick the one that was true or false, depending on what the question was asking. This would get them thinking about whether or not certain statements are true, and would give them practice logically decoding words and phrases. Kahoot! keeps track of the students that answer correctly and quickly and keeps points, so it would be a small competition, which students normally enjoy. This student submission comes from my former student Daniel Herfeldt. His topic, from Geometry: finding the area of a circle. Learning area of a circle as well as the circumference in geometry is beneficial for anyone who is looking to pursue any career involving math. This includes anything from a math teacher to an architect. This helps with most future courses in mathematics. With this said, it will be very beneficial when going into pre-calculus. This is because in pre-calculus you will deal a lot with trigonometry. This includes such things as the unit circle, which is a great deal to pre-calculus itself. Being familiar with the equations of a circle helps to understand why things work in a unit circle. It can help with simple things such as why x2+y2=r2. Knowing the area of a circle will make the class easier to understand in all. This topic is also very important to future architects. The reason for this is because if an architect doesn’t know the area of a circle or any other shape, it would be very difficult to construct a building. If one cannot figure the dimensions of a pillar to help support the ceiling of a building, the building will have a possibility to collapse. This causes the structure of a building to rely highly on the dimensions, area, and volume of all shapes including the circle. This proves that the importance of the area of a circle to be very high. Most students will not know that everywhere they go, circles are needed. Informing them about these small details could have the students more eager to learn. Giving them great real world examples might also help the students understand and grasp the knowledge that you are trying to teach them because it relates to them. Circles will be anywhere you go. They are in your everyday TV show, video games, and movies. Although at first glance you might not actually see them, they really are there. When creating a character for an animated movie or a popular video game, artist first start to draw with simple circles and lines. They need to figure out a certain area of the character’s face to be able to fit the facial features. For example, they need to be able to fit eyes, a mouth, a nose and a few more features. From this, they will go on to the animation of the character. This also includes circles because in an animation, when you are wanting to move one object, you have to move it all. The same process applies when working on the landscape properties. It will mostly start with simple lines, circles, and boxes. From there, it will progress into more advance steps, putting more and more detail into it. When moving a character, it is also necessary to move the landscape and surroundings as well. This would be great to tell a class because students will be able to relate to the subject. Most kids in the high school level will play video games. Whether the game is on their phone or a gaming console, they still require the beginning steps. If the student doesn’t play video games, they can relate to it due to watching an animated movie. This will be a great way to engage the class in the first few minutes of class. Below is a picture of the progression of drawing a Pokémon. Many ancient civilizations have been fascinated with circles. Circles can be seen in many ancient structures and buildings from the Roman Coliseum to Stonehenge. One ancient civilization fascinated with circles were the Greeks. The believed the circle to be a sacred divine shape mostly based on its multiple points of symmetry. The Greeks also invented a puzzle called squaring the circle, in which the person had to construct a square with the exact area of a circle a compass and a straight edge. This puzzle has been proved mathematically impossible. Other instances in which circles played an important role in history were the circles that appeared in the crops in different areas of the world. These crop circles have been argued to be a hoax while others indicate it is not possible for the crop circles to be the work of humans. Regardless, of their origin, these crop circles continue to fascinate us. Circles continue to have significance today. They are used in logos and other things usually to signify unity and harmony. Even the Olympic symbol is made up of five interlocking colorful rings. The circle is still found today enclosing the all seeing eye over the pyramid in the dollar bill on the US currency. The significance of presenting this information to students, especially high school students, is to give them background information. I think many high schoolers will be interested to learn how circles have been significant in other cultures throughout history. Students can be given a short introduction in the subject and asked to look for more instances in which circles played a role in an ancient civilization and then bring that trajectory to modern times. This student submission again comes from my former student Christine Gines. Her topic, from Geometry: deriving the term midpoint. Euclid was an Alexandrian Greek mathematician who created Euclidean geometry, and is also known as the Father of Geometry. He created a book called Elements, becoming one of the most influential works in mathematics’ history. 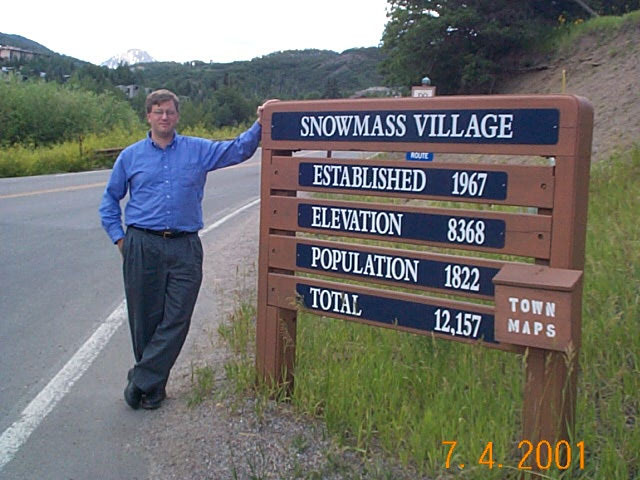 Not much biographical information is known about him so many researchers believe he was not just one man, but rather a fictional character created by a team of mathematicians. This hypothesis however, is not well accepted by todays scholars. Euclid’s book Elements consists of 13 separate books, all bounded together, which is now what many high school math courses are based off of, – especially geometry. In book one proposition 10, the bisection of finite straight line is constructed and proved, which is also the construction of the midpoint of a finite segment. Many of the books works and theories have been taken, molded and manipulated throughout the years by mathematicians in order to form new and innovative ideas and theories. For example, being able to construct a mid point by using only circles. Mathematicians have challenged Euclid and his proofs many times, thus leading to great discoveries and theories, such as the discovery of doing his constructions in less steps (par value) and other types of math, but they still haven’t disproven much. Creating a midpoint hands on before seeing a precise definition is a great strategic way for a student to end up with reasonable definition of sed midpoint. According to Euclid, knowing how to create a midpoint with a ruler and compass can lead to the capability of creating other common shapes like circles, triangles, and squares. Common shapes are all around us in each and every material thing, but not many people think like a mathematician does. For example, a mathematician thinks the roof of a house looks like a triangle and not just an every day roof, a hot tub looks like a circle, a door looks like a rectangle and an infinite number of more examples. There is also more in depth use of common shapes like these. Films create their characters according to the correlation of shapes and emotions. For example, a villain is created to cause terror, fear, and intimidation; the type of shapes that portray those emotions are sharp and jagged, a lot like triangles are. The video attached does a great job on putting together a series of popular films and demonstrating how common shapes on characters and scenes manipulate the viewer’s feelings. This will allow the students to see how being able to define a midpoint leads to the creation of other shapes, and also their role in pop culture and how much it impacts them without even noticing. Defining the midpoint is not only limited to a finite line segment. In algebra two the students will learn and have to find the vertex of a parabola. Finding the midpoint of a quadratic equation is equivalent to finding the vertex, because the value x is the axis of symmetry of the parabola. Being able to derive the axis of symmetry is also a beginning step to writing an equation in vertex form and completing the square. The comprehension of the midpoint formulas, axis of symmetry, and vertex form will form a direct path to the introduction of conics and deriving formulas for them. In addition, students are also taught about area approximation under a curve and how to calculate it. When students are first being introduced to the topic they are taught a technique called Riemann sum. Riemann summation is best approached with partitions of equal size over an interval. There are four methods to calculate such technique left Riemann Sum, Right Riemann Sum, Trapezoidal Rule, and Middle Sum. To calculate Middle Sum method, the student will have to approximate the function at the midpoint of partitions. This student submission again comes from my former student Brianna Horwedel. Her topic, from Geometry: classifying polygons. A great activity for classifying polygons would be a card sort. Give students index cards with different ways to describe polygons on them. For example, the cards could say “has three sides”, “has five sides”, “has 4 equal sides”, “has four sides”, “triangle”, “quadrilateral”, “square”, “pentagon”. Also include cards with a pictorial representation of the polygons that you want them to identify. Have the students work in groups of three or four to match all of the cards. For example, “has three sides”, “triangle”, and the picture of a triangle would all be matched together. After about five to ten minutes of the students working in their groups, I would have a larger set of the index cards (probably on standard printer paper) that one person from each group would come up and place in the correct category/group. There are tons of great polygon sorting games online. At the beginning of the unit I would have the students play Polygon Shape Game (http://www.sheppardsoftware.com/mathgames/geometry/shapeshoot/PolygonShapesShoot.htm). It is a great introductory game. It really helps the students understand what it means to be a polygon. The students have to pick out all of the shapes that are polygons on one round; on the next round, they have to pick out all of the shapes that aren’t polygons. Once students have a better understanding of what defines a polygon and different types of polygons, I would have them play Half a Min: Polygon (http://www.math-play.com/types-of-poligons.html). This game makes the students type in a type of polygon based on the hint given. This game is definitely harder than the first one; I would save it for maybe a review before a test. It would be really fun for the students to then create their own artwork in the De Stijl style using only polygons that we have previously discussed. This student submission comes from my former student Anna Park. Her topic, from Geometry: truth tables. The student’s will each be given half a sentence. The student’s have to walk around and talk to everyone in the class and compare their slivers of paper. They have to logically match up with someone in order to finish their statement. For example, one student will have “If I have a flat tire,” and another student will have,” then I will have to change the tire” then they would be matched together. Once all of the students find their match the student’s will stand up with their partner and present their sentence and explain why it logically works. 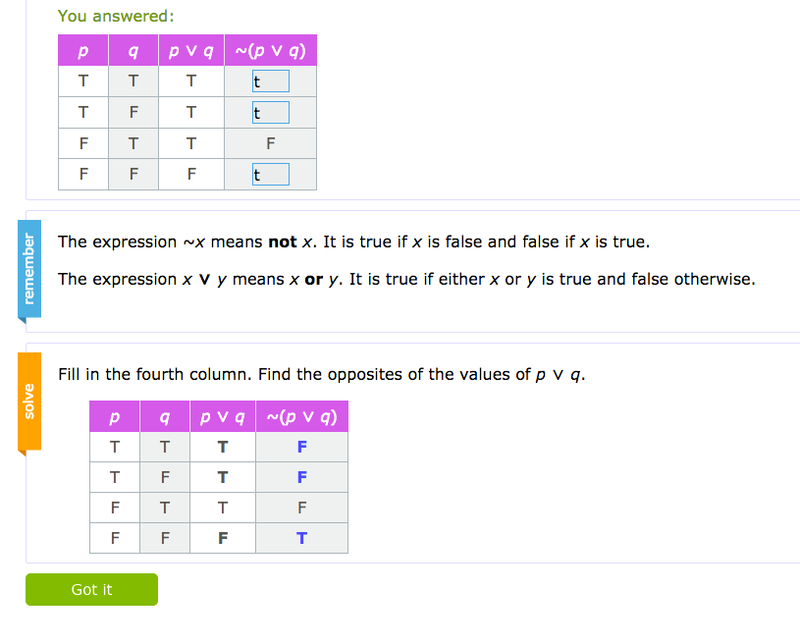 Truth tables will be used in geometry and in nearly every math class that follows. In college, truth tables are used in discrete mathematics, real analysis, and any proof based class. Truth tables help develop logical thinking, which is needed when one writes a mathematical proof. Many students understand the idea of cause and effect, but they do not logically think out their actions before they do them. Truth tables allow you to think deeper in cause and effect. Which, they will need later in life when making big decisions. For instance, in college there are many things to juggle. For example; assignments, sleep, physical activity, social life, and work. I have to consider all of my options logically in order to get everything done. I think about how many hours I have left in the day after I have class and work, then I look at my assignments and their due dates and see which ones I can complete given the time I have. Then I plan my workout to go with the exact amount of time left over, and still manage to get around seven hours of sleep. I have to think to my self, “ If I get this assignment done today, then I can do my other assignment tomorrow.” Students will need to learn cause and effect and truth tables is a good place to start. There are many youtube videos that show you how to do truth tables, which is great for when you are learning. 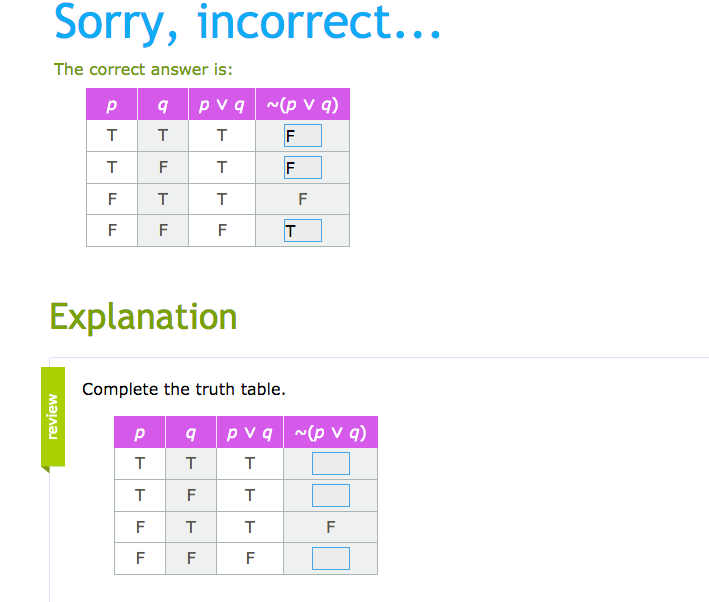 But there is a website where students can practice writing truth tables and get immediate feedback if they are right or wrong. The students’ can practice for as long as they want, and it is great repetition for the student to remember how truth tables work and the rules they must follow. With the website when the students get it wrong it will explain why the student was wrong and why the table should be what it is. Below is an example of what the website does when the answer is incorrect. Last month, my latest professional article, Deriving the Regression Line with Algebra, was published in the April 2017 issue of Mathematics Teacher (Vol. 110, Issue 8, pages 594-598). Although linear regression is commonly taught in high school algebra, the usual derivation of the regression line requires multidimensional calculus. Accordingly, algebra students are typically taught the keystrokes for finding the line of best fit on a graphing calculator with little conceptual understanding of how the line can be found. In my article, I present an alternative way that talented Algebra II students (or, in principle, Algebra I students) can derive the line of best fit for themselves using only techniques that they already know (in particular, without calculus). I created this spreadsheet so that students can explore (which is, after all, the first E of the 5-E model) the properties of the line of best fit. In this spreadsheet, students can enter a data set with up to 10 points and then experiment with different slopes and -intercepts. As they experiment, the spreadsheet keeps track of the current sum of the squares of the residuals as well as the best guess attempted so far. After some experimentation, the spreadsheet can also provide the correct answer so that students can see how close they got to the right answer. I enjoyed this article from Fox Sports. Apparently, a French Precalculus textbook created a homework problem asking if football (soccer) superstar Paul Pogba is doing the perfect dab by creating two right triangles.